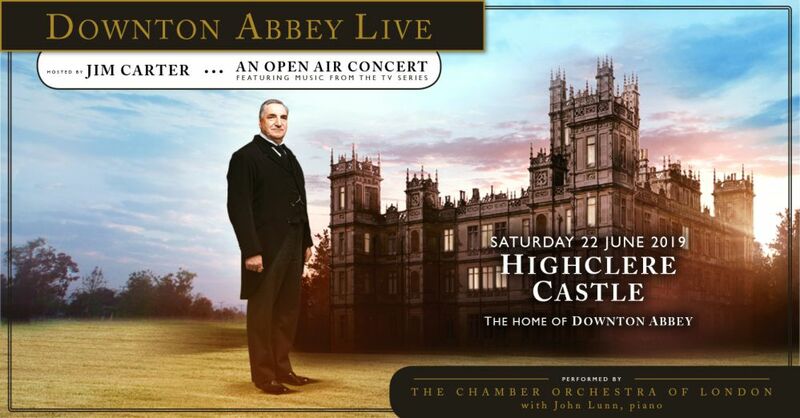 Downton Abbey Live - Experience the iconic music of Downton Abbey in the stunning grounds of Highclere Castle, Newbury. Enjoy this magical setting and the musical excellence and atmosphere of The London Chamber Orchestra - Narration by Jim Carter. Relax with an overnight stay in nearby hotel to enjoy this unique occasion - Concert tickets included. Official Ticket and Hotel Experience.